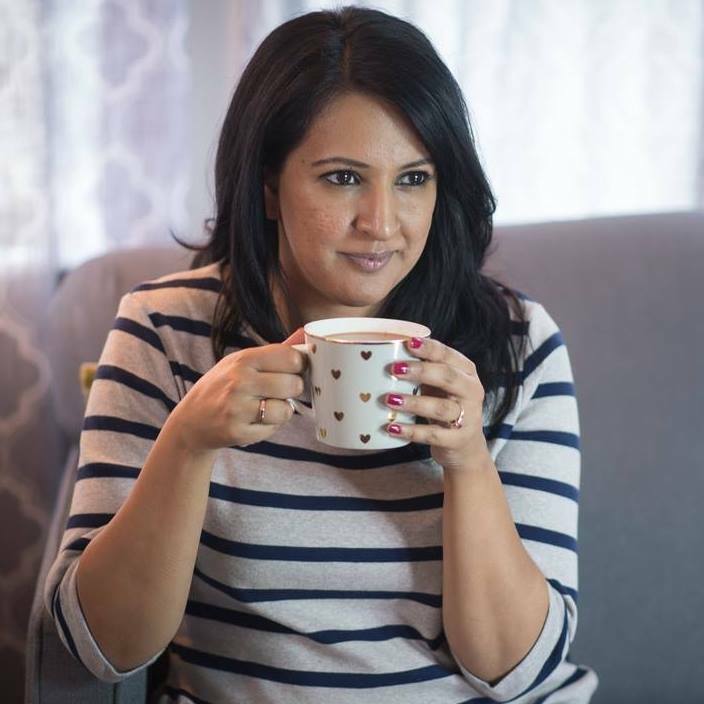 Please excuse the picture quality in today’s post, this DIY is actually from the archives and was one of the very first posts I ever did for Pink Chai Style. Since today I am working on clearing out my home office and getting my new desk and decor set up (I’ll try to do a reveal in the next few weeks), I thought it would be fun to revisit this project. Since I was a total newbie to blogging when I did this post, I don’t have step-by-step photos of the process but I will try to run through it for you. 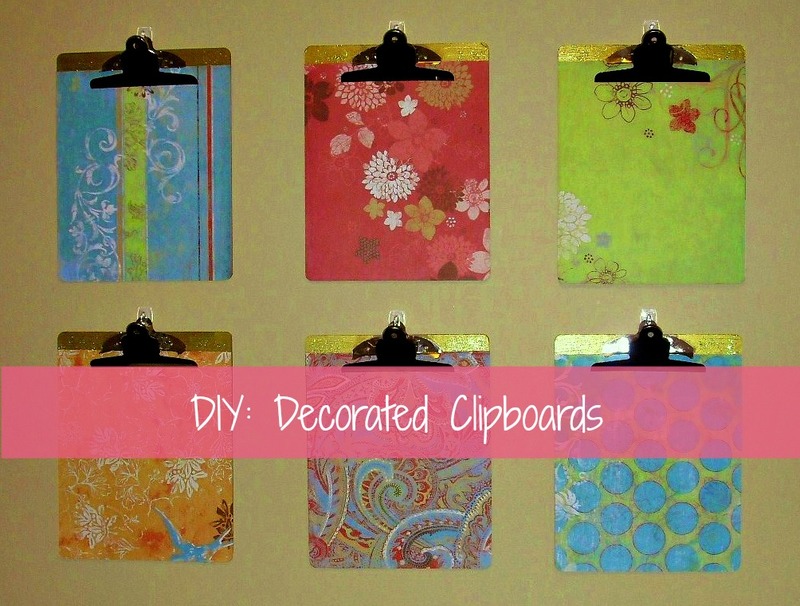 Use Modge Podge to stick the scrapbook paper to the clipboard and then apply a liberal coat over top of the paper. I actually let them dry over night and then did a second coat over top. If you decide to do a painted line at the top like I did with the gold – paint first, let it dry thoroughly and then apply the decorative paper. 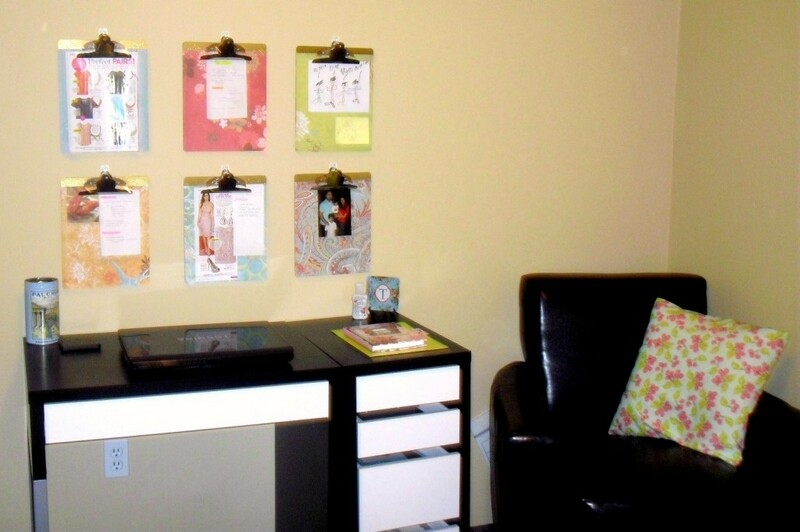 My clipboards held up for the year that I hung them over my desk without any issues. Now I’ve been staring at an empty wall for the last few months and am itching to make over my space. In fact, as you are reading this post today I will probably be trolling through the clearance isle at Michaels or my local thrift store to find some fun stuff to dress up my space with. I’ve recently upgraded to a standing desk without a lot of drawer space so I’m going to be looking for some fun tabletop storage, maybe some interesting art prints, and a corkboard to DIY. My inspiration colours right now are pink and tiffany blue and my dream office space would look something like this. If the pics are from before, I don’t think your office looks bad. 🙂 The clipboards are a good idea. Hi Raj. Clever idea. I like the idea of having several of them up on the wall. Not sure how I would make that work in my space, but I really like the idea. Good luck with the office make-over, although I have to agree with Rena that it looks pretty good. :Love it, pinned it and probably need to do it…. another cute idea is to use metal ones so you can incorporate magnets :D! What a great idea. You are super organized too. I wish just one room in my house was that organized – life with a 2-year-old! Thanks Robyn! To be honest, I’m naturally very disorganized, that’s why I have to create systems for everything. These are so cute! Love the gold stripe. I think it’s fun when practical things are pretty too. Thank you!I’m all about adding the pretty into the everyday. These are so cute! 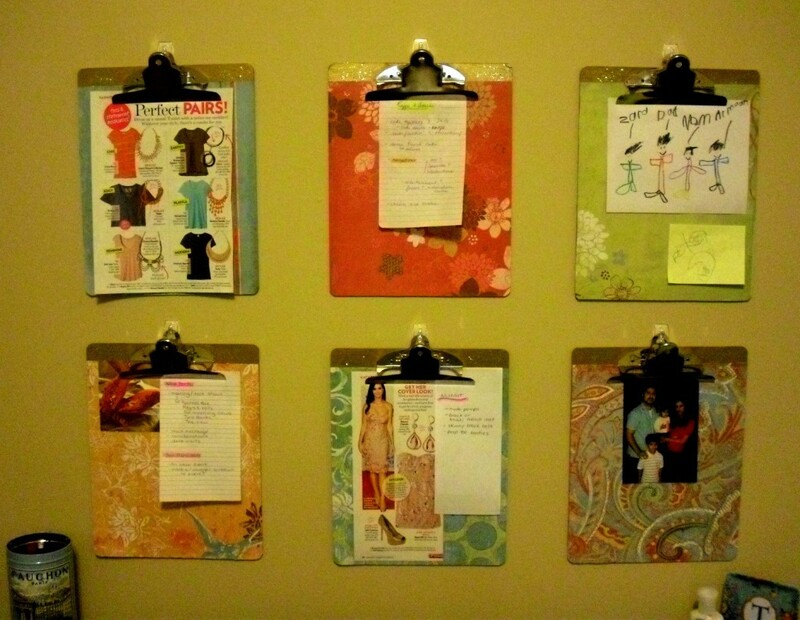 Love little things like this that make getting organized more fun! Thank you:) I’m working on a few other DIY’s right now for my new office set-up reveal…so excited!